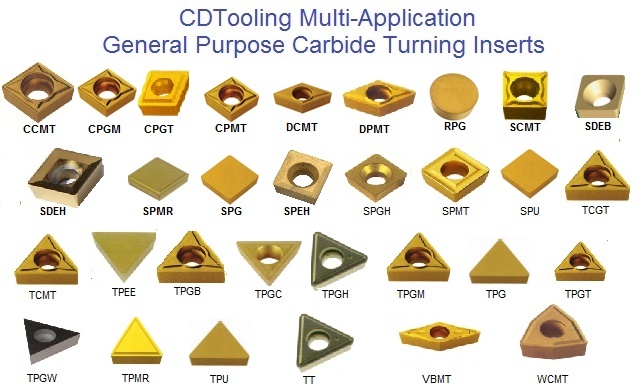 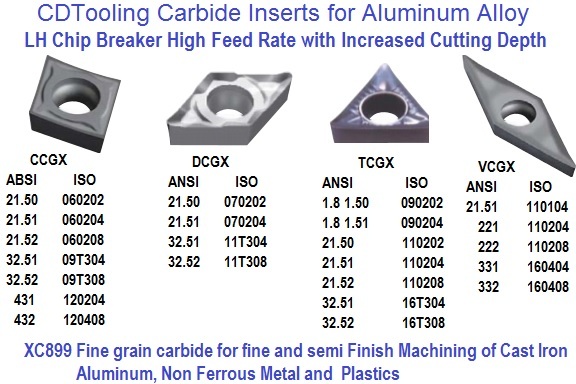 A selection of CF CM chip Breaker C520, C550, CM02 and CM14 Multi Material Shop Grade Value Carbide Turning Inserts. 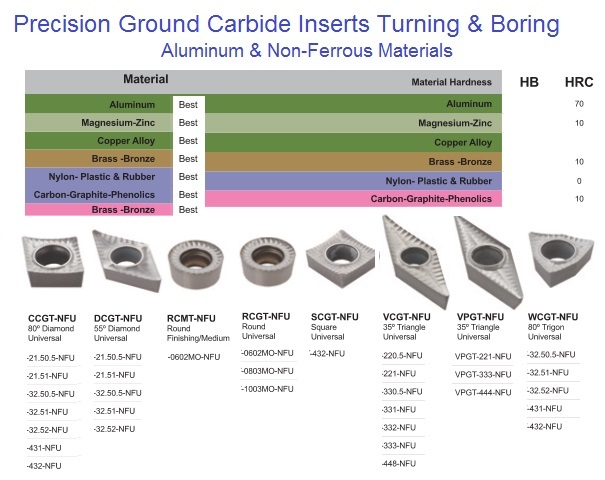 Designed for a wide range of materials. 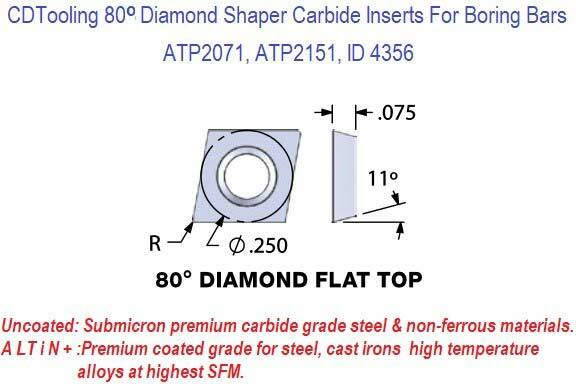 Performance combined with Low price and free shipping in the USA. 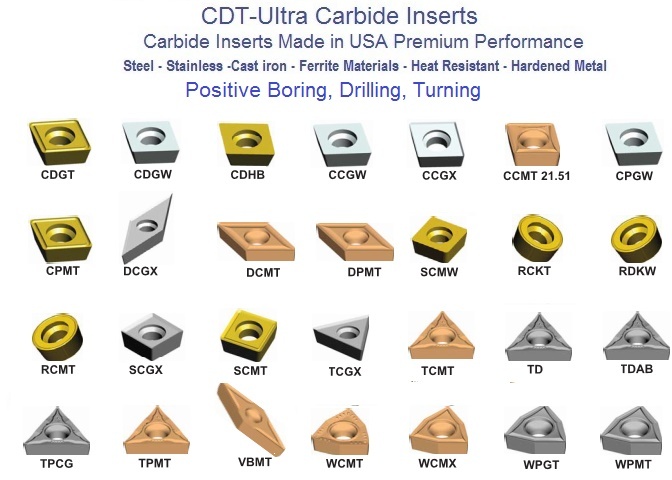 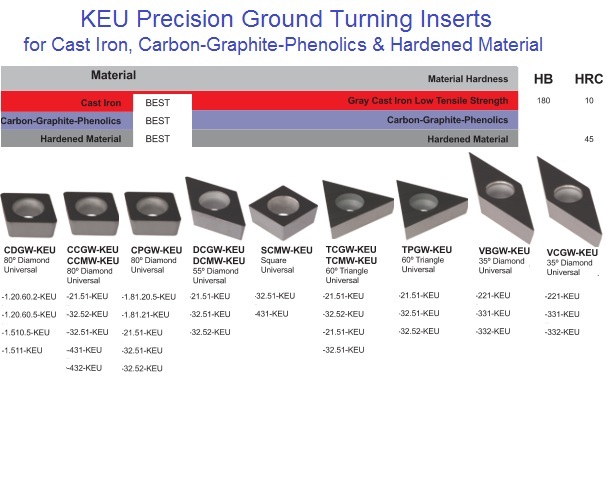 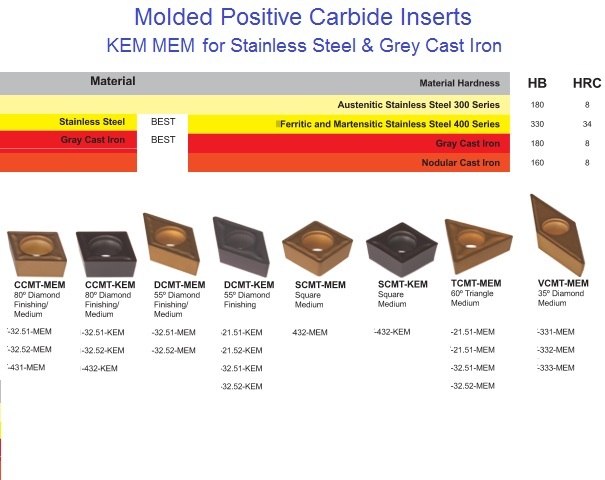 CCGW CCMW CDGW CPGW DCGW SCMW TCGW TPGW VBGW VCGW Cast Iron, Carbon-Graphite-Phenolics, Hardened Material KEU Positive Carbide Insert. 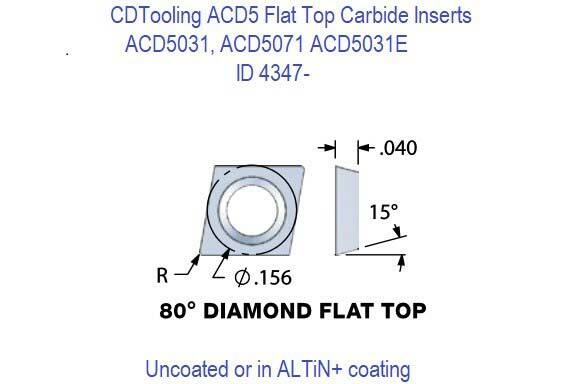 With Free delivery in the Continental USA these High Performance Inserts are an outstanding value. 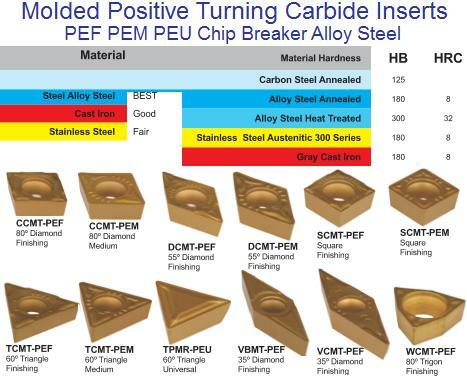 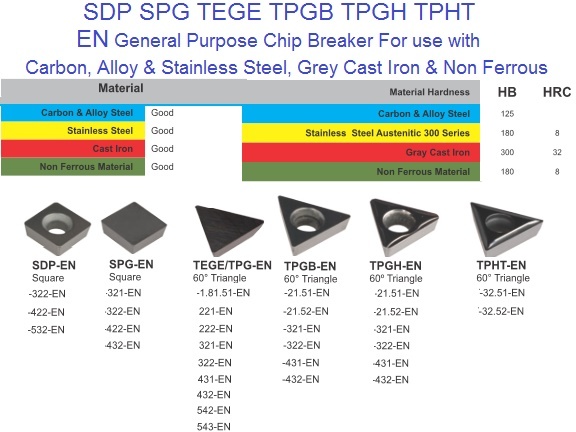 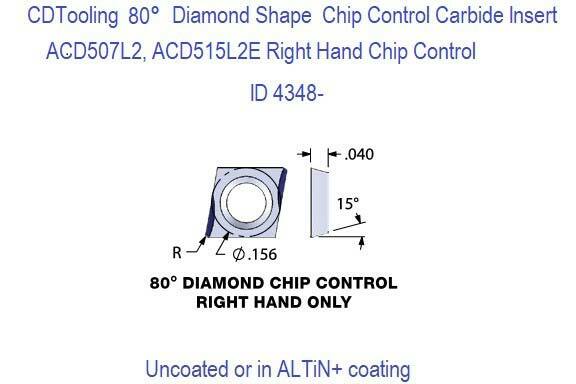 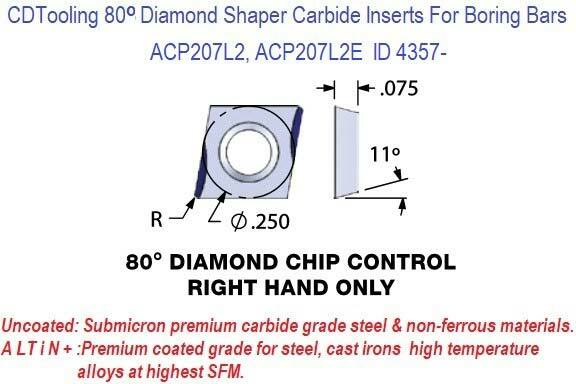 EM Chip Breaker Recommended for 300 series stainless steels. 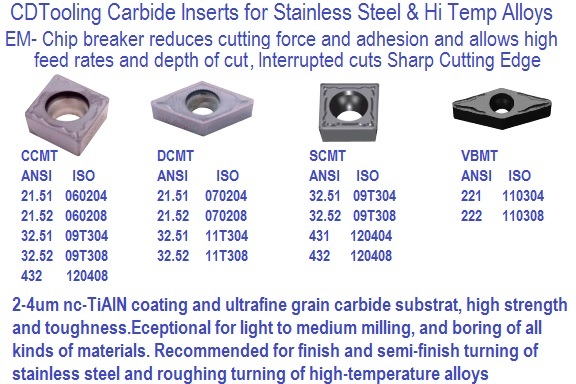 Impact resistant cutting edge for interrupted cuts. 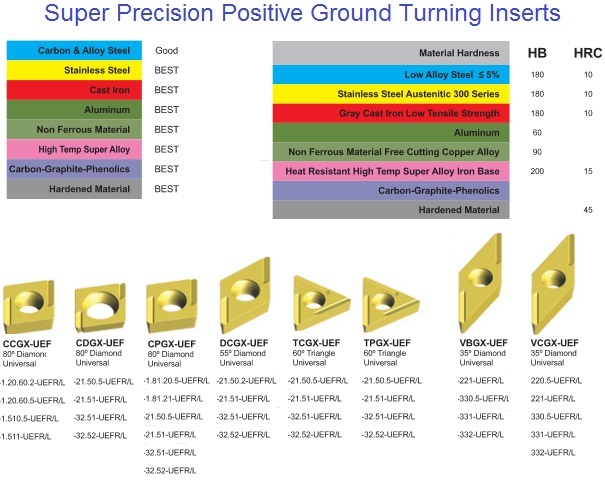 Sharp edge for low shear machinability rated materials that resists build up. 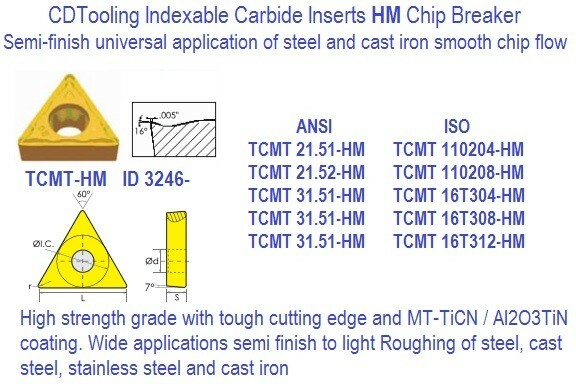 2-4um nc-TiAIN coating and ultrafine grain carbide substrate with high strength and toughness...suitable for light to medium milling, and boring of all kinds of materials. 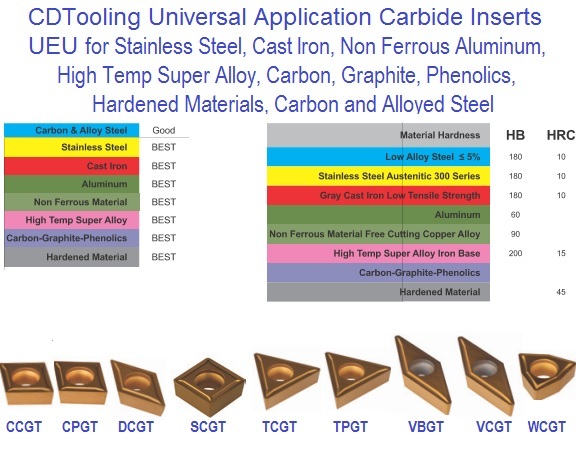 Recommended for finish and semi-finish turning of stainless steel and roughing turning of high-temperature alloys.